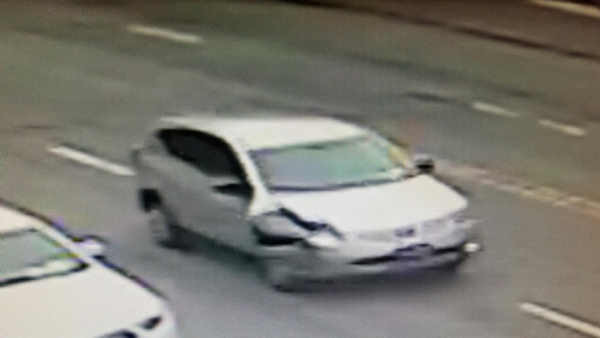 GREAT NECK, Long Island (WABC) -- Police in Nassau County are searching for the driver involved in a hit and run accident that left a pedestrian seriously hurt. It happened Friday morning near the Long Island Rail Road station in Great Neck. A 43-year-old man was crossing Middle Neck Road when he was hit. The driver took off from the scene, leaving the man with multiple trauma injuries. He was taken to an area hospital in serious condition. Police released a photo appearing to show front end damage to the gray or blue Nissan Rogue.